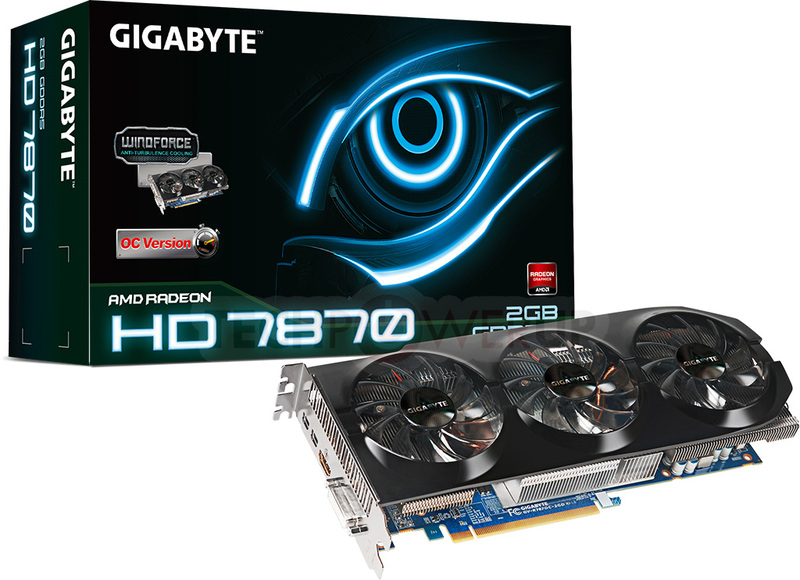 Today GIGABYTE announce the release of two AMD new generation graphic cards, the Radeon HD 7870 GV-R787OC-2GD and the Radeon HD 7850 GV-R785OC-2GD . The two new models from Gigabyte feature the latest 28nm GPU from AMD interconnected with 2GB of GDDR5 VRAM running @4,800MHz data rate and using 256 bit of memory bus and a WindForce cooling system with three/two fans, the GV-R787OC-2GD is a HD 7870 GPU based graphic card which run at 1,100MHz (according to TPU), using the well known Gigabyte's long Ultra Durable VGA+ PCB, come already overclocked up to 10% compared with the standard HD 7870 edition thanks to the WindForce 3X cooler with three fans used. 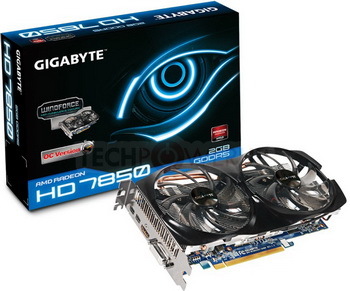 The GV-R785OC-2GD is a lower version based on the HD 7850 GPU which also use 28 process technology, come with a smaller PCB and less thickness size make it a good choice for HTPC and Mini-ITX build using two big cooling fans and a WindForce Anti-Turbulence cooler system with 5% factory overclock.